We’ve all had those days on the water where nothing seems to go right – crash after crash after crash. Quite often it would seem that best option would be to simply call it day and save your energy for your next session but then for many of us when will then next session be? There is a better way and though it may seem simply its a tried and tested technique used by coaches in many sports. In the same way we break tricks down and incrementally add new, small steps, building up our progression, sometimes it’s worth taking a step backwards! 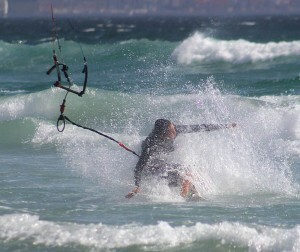 So much of what we do in kitesurfing is about confidence and muscle memory. When we crash a trick & get frustrated we start to lose confidence. Taking a step back, landing a slightly simpler but similar trick, gets our mind and body back in gear. You’ll see many a Pro, head out & on their first run just pop a raley. They’re sussing out the conditions, getting their body used to the movement. Next their straight into a Blind Judge. Next run a Blind Judge 3. Then they try a 7! 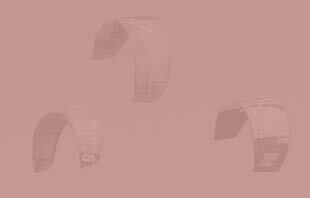 And if all goes wrong, then eventually they step back to the Blind Judge 3, prove to themselves they can still do and then step up again. So what does this mean when you’re heading out for a session? Well for starters get your Rule of 3 Tricks worked out first, then you’ll know what you’re aiming for. But for those harder tricks, the ones that will push you, make sure you know your Trick Progressions – what are the steps that lead up to your goal, make sure its clear in your mind so you can quickly jump back too. Getting “back on the horse”, after a crash, and landing something, any trick, will stop you getting frustrated and psyching yourself out. Struggling to stay upwind? 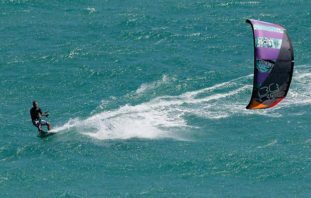 Put it out of your mind and just focus on riding downwind, get your balance back, your kite flying stable at the front of the wind window. Yes you might have to walk up wind a few times but just enjoy riding comfortably again and then try riding up wind again. Struggling with Waterstarts? Put the board back on the beach and go body dragging again. Get confident throwing your kite around the wind window. 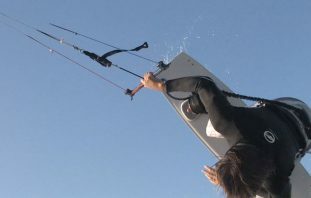 Experiment with diving the kite and seeing how big a movement pulls your out of the water, with out the worry of losing your board. Struggling to get any height with your jumps? 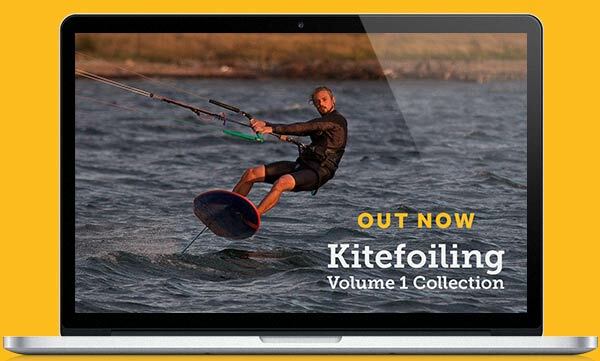 Stop trying to get air, focus on riding fast, edging really hard with lots of power in the kite. So many problem with jumping come from bad technique just riding along setting up for a jump, so focus on that again first. It’s a simple technique but easy to ignore – there’s no shame in taking a Step Back to Move Forwards!